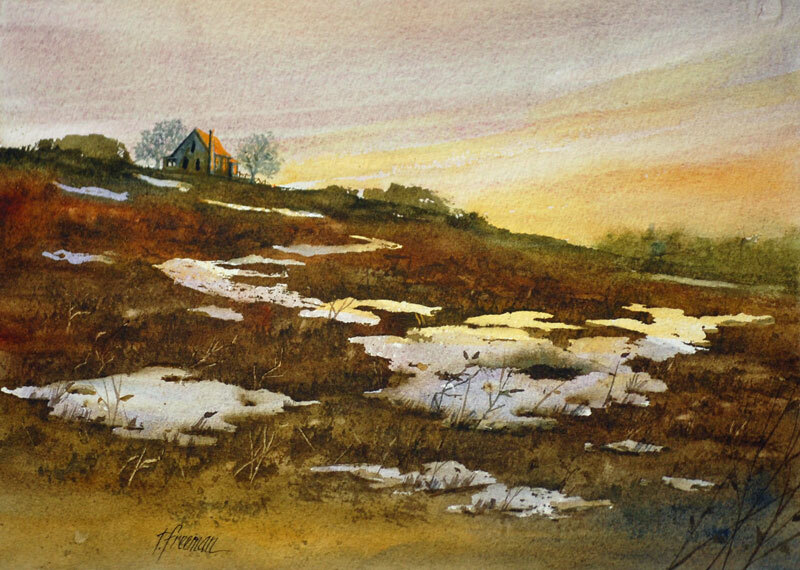 Thomas Freeman Original Watercolor Painting: "Last Traces of Winter"
I do like this painting since I always enjoy weeds and ground cover--and it is reminiscent of the Midwest. My first act, after a brief sketch, was to mask the snow areas with liquid mask, then proceed with sky. (For mood and lighting.) I then painted the background trees and ground cover. Lastly, I removed the masking and added the weeds. I enjoy painting landscapes with mood.